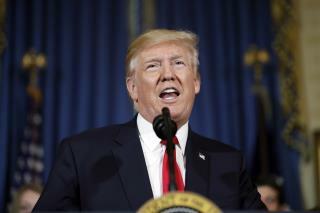 (Newser) – The government will make this month's payments to insurers under the Obama-era health care law that President Trump still wants to repeal and replace, the AP reports. "The August payment will be made," a White House spokesman said Wednesday. Trump has repeatedly threatened to end the payments, which help slash health insurance copays and deductibles for people with modest incomes, but remain under a legal cloud. The Congressional Budget Office reported this week that premiums for a popular type of individual health-care plan under the Affordable Care Act would rise sharply, and that more people would be left without options for coverage, if Trump kept his threat to stop the payments. Moreover, ending the payments would only increase federal deficits since it would trigger a rise in separate health-law subsidies for premiums, wiping out any potential savings. Trump supporters can only blame him for not passing health care. Obama paid for it with taxes on the rich. If Trump wants to cut taxes on the rich, fine, people with no health care can wait for the trickle down affect. Trump as usual, his back has to be against the wall before he pays.